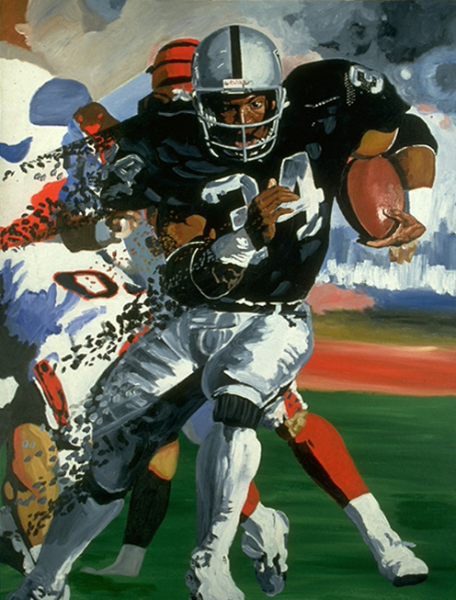 Ebo-lution is a powerful piece of NFL art that memorializes the play of one of the League’s most incredible running backs for the Oakland Raiders. 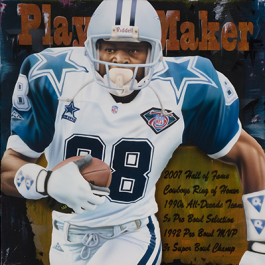 #34, Bo Jackson was also an outfielder for both the Chicago White Sox and the Los Angeles Angels and was the first NFL player to be named an All-Star in both sports. 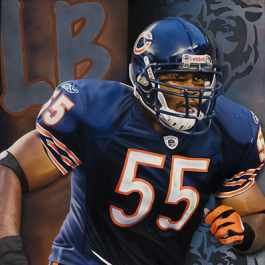 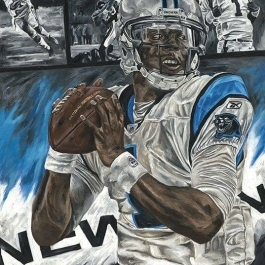 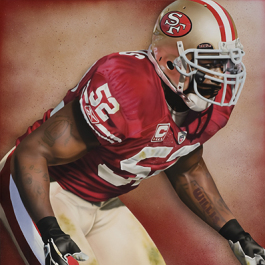 For NFL fans and for fans of MLB, this NFL painting is a great addition to any man cave or sports art collector’s favorite piece of NFL memorabilia.